While Lieut. 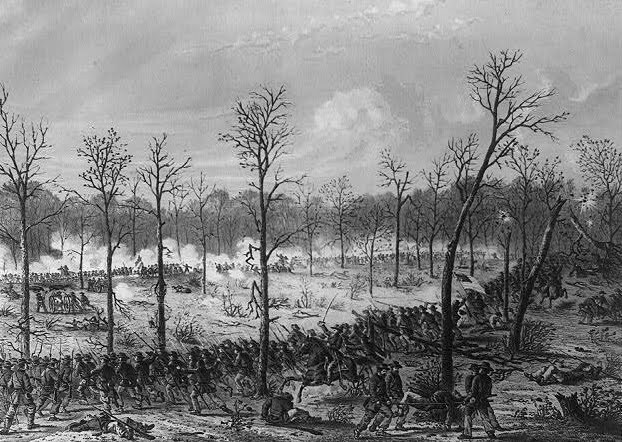 Ben Ober of Company K, 77th Pennsylvania, missed his company's initiation into the world of Civil War battle at the Battle of Shiloh, his letter provides an important insight into the link between battlefield and home front in the days after a battle. Ober was in Louisville, Kentucky, recovering from a second episode of a severe illness. He observed boat loads of wounded arriving in Louisville and the commotion they caused in the city. The letter also recounts his attempts to learn the fate of the 77th Pennsylvania in the battle, the particulars of which he hadn't procured by April 14, a full week after the battle. This is Benjamin Ober's last letter from the Western Theater. He resigned shortly thereafter, and reported from Virginia during the Peninsula Campaign for a couple months. After that, I don't know of Ober's fate, which could be an interesting research project.